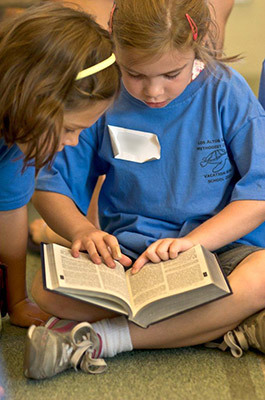 Los Altos United Methodist Church provides many ongoing activities and special events for children and families. Below are just a few of those opportunities. Visit the LAUMC website for more activities and information. MUMS — Mothers Uniting Mothers — is a community of moms of all faiths, all beliefs, and all walks of life. Our intention is to create a safe, welcoming environment for all mothers. Our topics and programs are geared towards mothers of young children, but all moms of all ages and stages are welcome. We meet every other Wednesday morning from 9:00 until 11:30 at Los Altos UMC. Childcare is provided. This is a time for a much needed break to enjoy wonderful speakers, small group discussion, and refreshments. For more information, visit their website at http://mums.laumc.org. Working Moms in Fellowship meets every other Wednesday from 7:30–9:00pm for some get-real fellowship, bible study and serious fun as we navigate our lives as working moms! Our kids range in age from baby to college age and we've heard it all so come and JOIN US, wherever you are in your journey! For more information, email Laura (langreel@gmail.com). Get up-to-date information about special events for children and families on the LAUMC website's children's news feed.